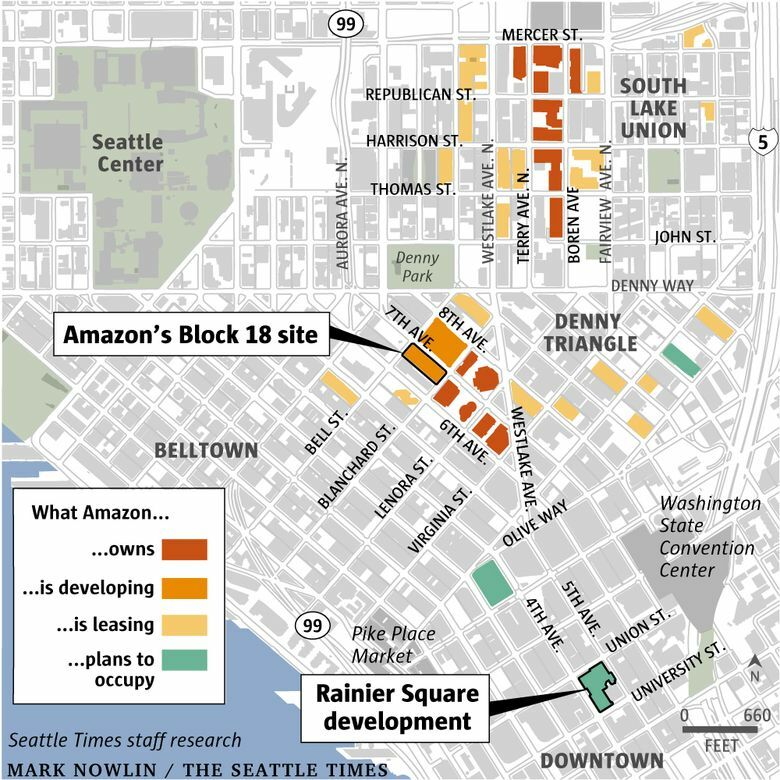 Amazon says it will resume planning to build its 17-story Block 18 tower, but it is still weighing whether to sublease space in the Rainier Square skyscraper that's under construction. Amazon said it will continue to evaluate its long-term plans for Seattle after the City Council passed a bill to tax large businesses to fund homelessness services. The company will resume planning it had suspended on a tower-construction project on land it is developing, a spokesman said, but the retail giant is still weighing whether to sublease another large building. 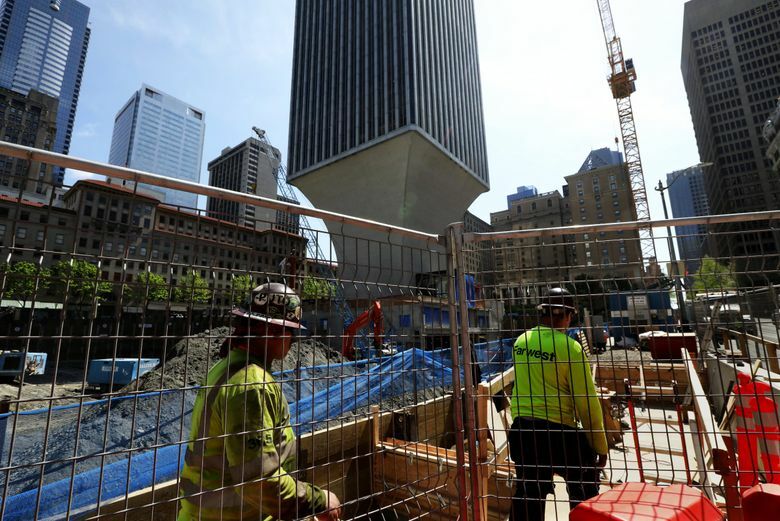 The company two weeks ago said it had halted planning for construction of its 17-story Block 18 tower, and would consider a sublease of its office space in the Rainier Square skyscraper that’s under construction, pending the city council’s vote on the so-called head tax, which was proposed to fund affordable housing and homelessness services. Before Amazon’s pause, the company was expecting to staff those buildings with about 7,000 workers. After the council voted on Monday to approve a smaller package, the company said it would resume work on one building, but remained unsure on its plans for another. The company, Seattle’s largest employer with more than 45,000 employees in the city, had rattled government and business leaders by threatening to slow or even stop its growth. Herdener, in his statement, noted the city’s increased revenue in recent years, echoing a critique from the business community that the city should better spend its existing funds to combat homelessness, rather than implement new levies.